YUM! Don’t you just love when you throw a meal together or concoct your own recipe and it turns out SO well?! This was one of those times! A skillet dinner made with chicken apple sausage, apples, and potatoes. Perfect for fall and SO good! 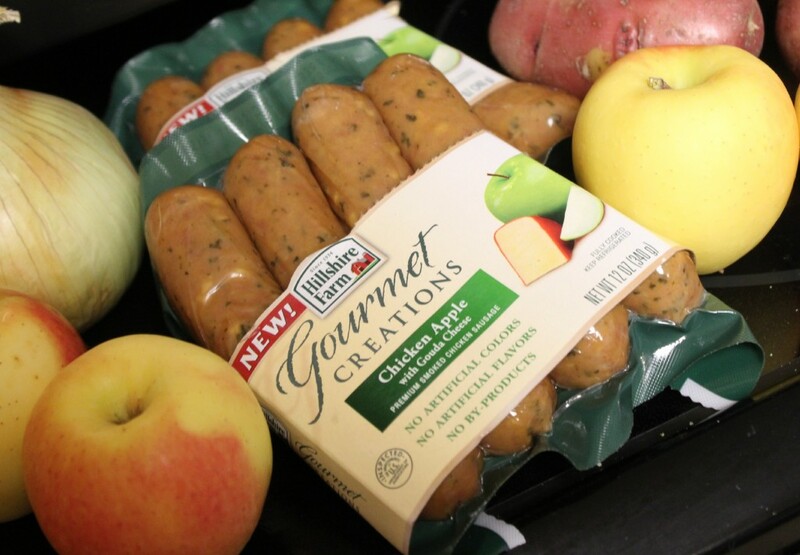 As soon as I saw the new Gourmet Creations Chicken Apple Sausages from Hillshire Farm, I had an idea about a a yummy fall dinner! 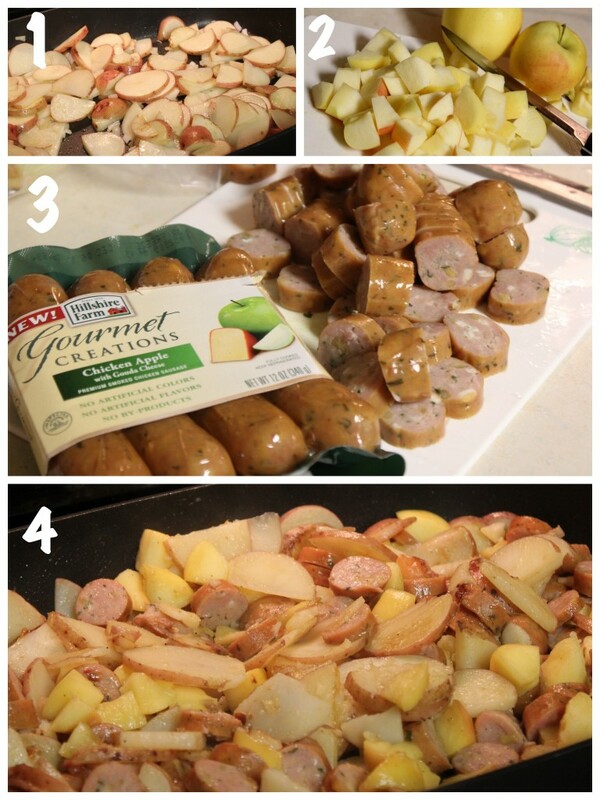 The flavors of the sausage sounded so good and something that I figured the kids would eat! – Heat large pan on stove or electric skillet on medium high heat. 1. Add sliced potatoes to skillet. Cover. 2. While potatoes and onion cook, dice apples into small chunks (I left the skin on). Stir potatoes & onions, then add apples, brown sugar & water. Cover. 3. While that cooks, cut sausage into slices. Add to the skillet. 4. 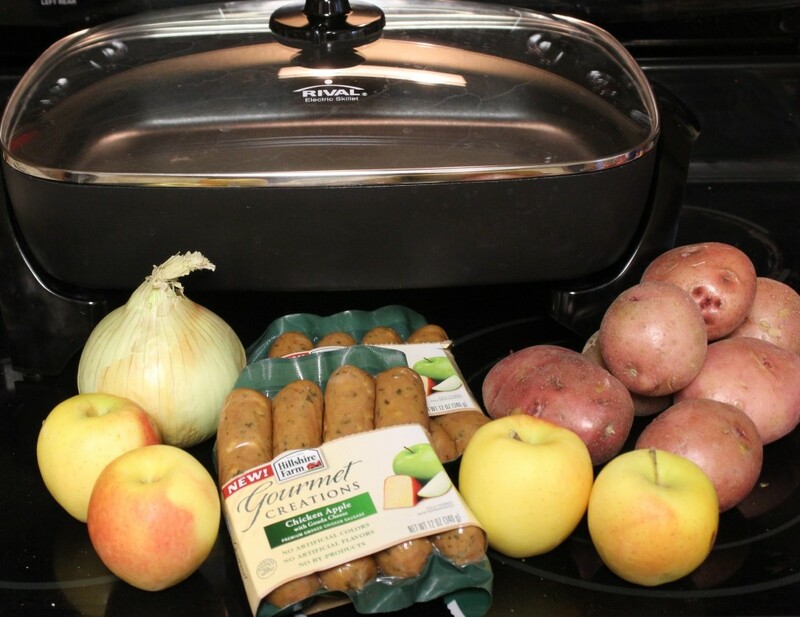 Let all ingredients cook together until potatoes and apples are tender. Add salt & pepper to taste. Serve up & enjoy! I thought it would be really pretty plated with asparagus, but I thought of that too late & we didn’t have any. So, we just had ours with broccoli & carrots. But, it was SO good–love it when even the kids like it! 🙂 And, I love that it was essentially a one-dish meal so there hardly any dishes! A win-win! Disclosure: This shop has been compensated as part of a social shopper insights study for Collective Bias. #GourmetCreations #cbias You can view my whole shopping experience here, on Google+. As always, all opinions and experiences are my own. Oh yum!! This looks very tasty and perfect recipe for a chilly day. Yum! Thanks for sharing. Your recipe looks really delicious! Oooh, I like it. Comfort food that is easy and good for you too. This is seriously the best meal ever.. We have made it a few times now and love it more every time! Lea, thanks so much for taking the time to comment and let me know! It IS indeed super yummy!!! 🙂 Glad you enjoy it!! I made this a few weeks ago and it was a huge hit with my family! I’m going to make it for a fellowship dinner at church tomorrow! Awesome, Stacy! Thanks for letting me know! Made this for dinner tonight – very easy, and very tasty! Thanks for sharing it! Awesome! Thanks for commenting! So glad you enjoyed! Can this meal be made in a crockpot? If yes how would you make it? Would you add liquid? Maybe a broth? I’ve never tried it in a crock pot. 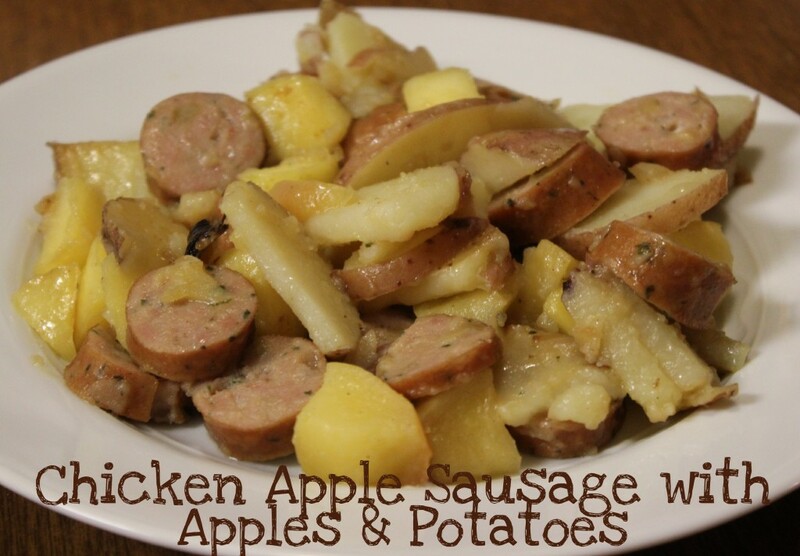 I’d worry a bit about a mushiness factor with the potatoes and apples. But you can certainly try it. If you do, please let us know how it goes!